Depending on who you’re listening to… there’s a chance that the way you’re prospecting and recruiting on social media is damaging your brand and your business! We’ll get to that in a second but first we’re going to share a bit of our story about how we had it all wrong when it came to prospecting and recruiting on social media. It’s been 6 years since we entered the network marketing space and our journey has definitely not been an easy one. But today I have good news and that is our story has worked out very well even after all those trials and tribulations. We were able to walk away from our 9 to 5 jobs and quickly become multiple 6 figure earners. In 2016 our business grossed over $1mm in revenue. We’re and have been top affiliates in several high ticket offers. Such as our SAN. We collectively have over 200,000 fans between our fan pages and have generated over 150,000 leads profitably. We speak and train all over the world on the topic of building your business online, specifically using Facebook. Best of all we get to travel the world like crazy every year! We typically take at least 6 trips a year to amazing locations like the one pictured below. Lets start by saying that the way we began prospecting and recruiting on social media was just flat out embarrassing. We won’t go into all the gory details, but let’s just say we had some friends and family that would run the other way if they saw us coming. Additionally, they pretty much deleted us on Facebook for our obnoxious prospecting on social media behavior. However, we’ll share a few of those failed strategies with you so you really understand why we were so embarrassed. Have you ever hosted a social event at your house and invited your friends over for cocktails? Then you happened to mention you have some really cool stuff you want to share? Or how about this one….your upline tells you make a list of 100 people and share that list with them and they will help you get those people in front of a presentation. Finally….have you ever messaged every person you know on Facebook, and see if they are open to making a side income? Yes, even those past elementary school friends you haven’t spoken to in years! We could go on, but we’re starting to get a little disgusted with how desperate we must’ve looked. Fortunately, we’ve mastered the art of prospecting and recruiting on Social Media (particularly Facebook). So what drives us to crazy now are those individuals that are still making the same mistakes over and over on Facebook. They aren’t getting results, yet they keep doing the same thing over and over again. By no means are we perfect, but we did see the light and shifted the way were recruiting on Social Media. Now we’re going to introduce you to our good friend Ferny Ceballos who also has strong opinions on recruiting on Social Media. “I once heard that success in business is all about ‘time’ and ‘place’. As a professional marketer, I would add ‘message’ to the equation as well. Prospecting & Recruiting on Social Media the Wrong WAY! All right we’re back again….. Didn’t Ferny put that well??? Are you practicing spam when it comes to prospecting and recruiting on social media? If you are doing one of the following… guess what? You’re looked at as a spammer. In the past, I did a few of these thinking I was prospecting and recruiting on social media legitimately. Turns out it was just flat out awkward. Trust me I did feel genuine and it was cool to get to know that person, but again…..my end goal was to recruit them. Our Business Started to Flourish! We Started Having Success! We’ll never forget that light bulb moment. We went on a family vacation to Atlantis in the Bahamas. … and not once did we feel compelled to pitch our products or opportunity! Finally we were enjoying life, our vacation, our our free time, and the freedom. We were no longer consumed by the nagging feeling of who should we prospect next. It felt so amazing!! Finally I was thinking of other things that had nothing to do with prospecting. We could sit down for dinner and enjoy it without feeling like we needed to recruit the waiter. We could have a cocktail at the bar and not feel like we needed to give the bartender a product sample. We were finally normal again! No longer was every warm body within 3 ft of us a prospect. They were actually real human beings that we could get to know without an agenda in the back of our minds. This all happened because we stopped prospecting every warm body around us that would listen. First, understand we’re not knocking you if you’ve had tremendous success at hosting parties, meetings, and pounding that pavement. We’re actually happy for you. It just wasn’t our cup of tea. For us it felt yucky. We know there are lots of people who love to approach strangers and open up a conversation that leads to an invitation to view their presentation to their product or opportunity. Go for NO! Right? It’s a numbers game! Who cares about NO’s you are looking for the Yes! Again, no thank you. We wanted to find a way to do it the right way online and our journey began back in 2010 to find the right way. We knew we had to step up our game and attract people to us if we wanted to be successful. People who would ask us about our business and not the other way around. People who wanted to work with us and not the other way around. We knew we wanted to be the hunted and no longer the hunter. That’s when we discovered the power of leveraging… the alternative to prospecting people one by one. We also discovered that having mentors who were on the same page with us was very important for our business growth. Having mentors who showed us exactly how to do online marketing that would result in sales and new customers in our business the right way, without having to chase people down. 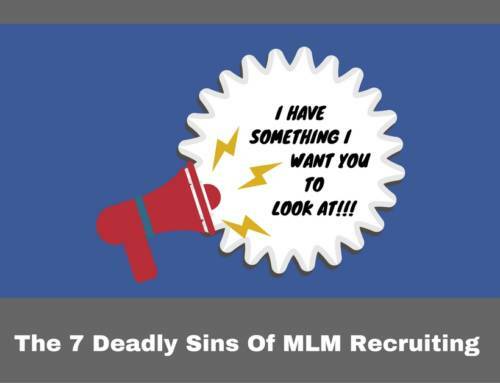 All this enabled us to become top recruiters in our MLM back in 2011-2012. Since then, we’ve gone on to become top affiliates, and well respected trainers within our marketplace. We only practice leveraged activities in our business now and work on strategies that are actually scalable. By this we mean strategies that all we need to do is find a winner and then scale it up by adding more money to it. The great thing is this doesn’t require more time. No more spending hours spamming or private messaging people on social media. We learned how to grow our business using Facebook and other mediums to attract people to us that actually wanted to work with us. We wake up almost every single morning now to commissions in our inbox. Some days they are small commissions and some days are 20K days! Bottom line everyday commissions are flowing in. You know that saying, “Make money while you sleep!” Yes we are living it and it’s because of a strategy called: Attraction Marketing. Our opinion is this… if you’re going to market on Social Media, specifically Facebook like we do, you must master attraction marketing. If you don’t there’s a good chance that you’ll be unhappy with your results and you’ll likely quit. If your business right now consists of you reaching out to 5-10 people a day on Social Media then you’re not practicing internet marketing. Sorry…you can’t call yourself an internet marketer. You are an online prospector, that’s it. 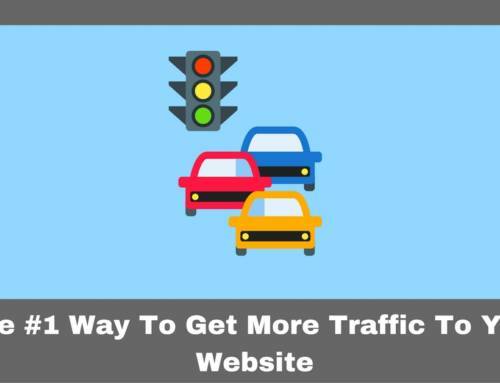 Internet marketing is a strategy you put into place and when done right… it practically runs on automation. Yes, even while you sleep. But it starts with you understanding attraction marketing. It was our key that unlocked the flow of cash into our business. This one concept turned our business in the right direction. So if you want to learn how it works, our buddy Ferny actually reveals the entire strategy we’ve used for the past 5 years, in a free 10-Day Online Recruiting Bootcamp available here. You’ll also get more details about a book he wrote, which goes into the nuts n’ bolts of his recruiting & selling formula. Ferny is amazing and we highly recommend you check this out if any of this resonates with you. Again, not knocking the online prospecting method, it’s just not for us. For us, we wanted to get our business to a point where it works on automation. In fact today… those friends we pitched way back when… they’re now wondering what the heck we do to live the lifestyle we have. Ironic eh? We hope you found this post valuable. Ferny inspired us to write it. If you haven’t had success online with recruiting and making sales in your business then don’t delay and grab up this free 10 day bootcamp today. If You Got Value From Our Article About Prospecting And Recruiting On Social Media Then Comment Below And Share This Article With Your Team!